Two of our favorite John Cusack (2012) movies are High Fidelity and Grosse Pointe Blank, and we’re thrilled to finally have them on high-definition Blu-ray. 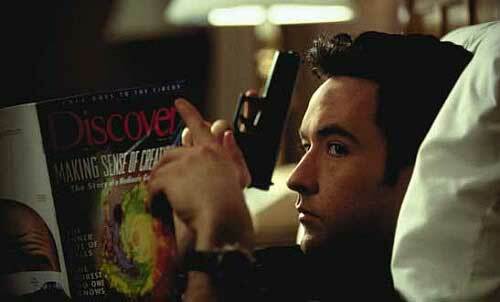 2000’s High Fidelity and 1997’s Grosse Pointe Blank and both smart, fast-talking and very funny films. Based on the book by Nick Hornby , High Fidelity tells the story of Rob (Cusack) a record store owner and compulsive list maker who’s having relationship issues. After his girlfriend (Iben Hjejle) leaves him for their older and very strange neighbor (Tim Robbins, Bull Durham), Rob recounts his top five breakups, visiting his exes (including Catherine Zeta-Jones, The Rebound) to find out where he went wrong. 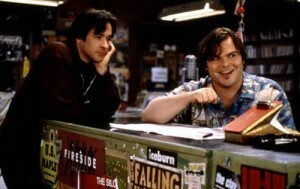 Jack Black (Gulliver’s Travels) and Todd Louiso (The Switch) are great as Cusack’s record store sidekicks in the film, which was directed by Stephen Frears (Tamara Drewe). Grosse Points Blank stars Cusack as Martin Blank, a professional assassin with an identity problem. His therapist (Alan Arkin, The Change-Up) thinks Martin’s 10-year high school reunion is a good idea, and it does coincide with a job request in the Detroit suburb that’s his hometown. In town, however, Martin finds two other assassins (Dan Aykroyd of The Blues Brothers and Hank Azaria of Love & Other Drugs) after the same job and him, all while he’s trying to reconcile with his former girlfriend (Minnie Driver, Conviction). Jeremy Piven (TV’s Entourage) is a fabulous co-star as Martin’s old high school friend now turned real estate agent who tries hard to wrap his head around his friend’s career path. Both R-rated movies grossed around $28 million each when they were released in theaters, but have become solid repeat viewers on DVD. Here’s hoping Disney has done a good job on the transfer for the Blu-ray. Fingers crossed.